Change Your Master Bedroom to Become Happy in Love! You are dreading the approach of another year without a romantic partner. You feel stuck in a love relationship that you know is going nowhere. You are already married to someone you love, but you argue all the time! If you can recognize yourself in any of the above statements, I think you are ready for true love. True love, in real life, is very different from what we were raised to believe. When you were a child you read Fairy Tales that made you imagine one day prince charming would come sweep you off your feet. Then you moved on to Romance Novels that gave you the impression that guys think, feel and act just as women would like them to think, feel and act. Finally, you graduated to Romantic Comedies, where people find their soul mates in the most unexpected places. You are starting to get an inkling that most that you were taught about love before was wrong. Now you want a man who would sometimes help you sweep! Now you need to learn how love relationships actually work in real life. Now you need to understand that soul mates are not found, they are made. In Feng Shui, love relationships are expressed in Your Master Bedroom! It doesn't matter if you are by yourself, in a relationship, or even if you are already married, they way you express love shows in the way you have arranged your master bedroom furniture, the colors you have chosen, the photos you display, and the artwork and ornaments you have placed on walls and at the top of furniture. Would you like to made sure that your home supports your goals in love relationships and marriage? In this program you will get access to training videos, handouts, mp3 recordings, and affirmations that are going to help you create a loving relationship that lasts. Plus you get my direct support in a Private Facebook group where you can upload photos of your master bedroom or your master suite. You can also upload videos, and ask any and all questions about Feng Shui for Master Bedrooms and Love. that you can succeed in Love. 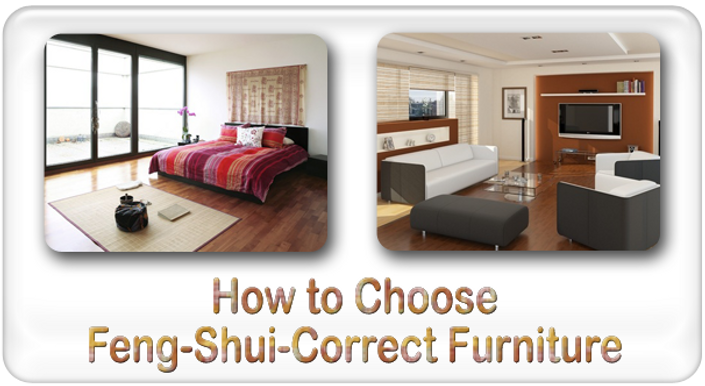 With Feng Shui, you can create an environment where things that were once difficult, suddenly become easy. In such an environment, you will be able to find love with a new partner, or grow the love you already have for your husband. In my Feng Shui Consultant practice, most women who have divorced have shared with me that they still loved their husbands at the time of the divorce. In most cases, they believed their husbands loved them back! They simply could not get along. They could not live together without arguing all the time and making each other miserable, so they had to end it. I can relate. My husband and I almost divorced in the first home we purchased because of bad relationship Feng Shui. Fortunately, it was while living in that home that I discovered Feng Shui, and after a couple of simple cures, the constant arguments ended. Since then, every year in our married life is happier than the one before. Even with all the challenges of life's changes, managing our businesses, and raising children, we always continue to communicate well, and express our love for each other – as a couple, not just as friends or co-parents. It is amazing to still like your partner after over 25 years! If you long to communicate better with your partner, with love and passion, you need the course "Ignite Love!" Are You Ready to Be Happy in Love? When most people think about attracting love, they think about single people looking for a mate, and it is hard to find the "right person," but attracting love in an established relationship can be even harder! Everybody wants to be happy in love, but few people know what it takes. As a Feng Shui Consultant with two decades helping clients Feng Shui their homes for love, I have seen many people stuck in bad relationships, even though they really loved each other. All people bring baggage to a relationship, and their own misconceptions about what love is. The truth is that most people do not know what will make them happy. The good news is: Feng Shui already knows what will make you happy. If you're already married, is this happening to you? You would like to spend more romantic moments with the man you love, but it seems your schedules are star-crossed. When you would like to start an intimate conversation, you end up arguing about the kids or the extended family. When you and your love are in bed, you both turn on your devices instead of each other. What if the secret to romantic happiness was -- literally -- in the bedroom? The Master Bedroom is the place in the home where you and your spouse express your hopes and desires for love. Every piece of furniture, accessory and ornament in your bedroom tells a story about where you have been and where you want to be when it comes to love. Since you are here, you probably know (or at least suspect) that the Feng Shui of your master bedroom is essential for long term happiness in love relationships. BUT when you search online, you find lots of contradictory and confusing information! You want to sleep better and get along better with your partner, and you know Feng Shui can help, but your don't want to make mistakes. Do you feel like no matter how hard you try to get along the arguments continue? Would you like to ignite more passion in your relationship, but when the time comes, you feel too tired to even try? Do you some times feel like you and your love have become nothing but friends? Feng Shui is the art of space arrangement, which teaches you "what to put where" so that your home resonates with your positive intentions in life. Whether you are married, in a relationship, or single, the Feng Shui advice for love relationships is exactly the same, because there is only one way to create environments where love can truly thrive. Most of my clients, when they first approach me to help them with their love life, lack a deep understanding of what a love relationship really is like. Through applying the cures and recommendations of the Ignite Love Program, they intuitively and instinctively learn what a love relationship is really about and what makes people happy in love. With this course, I am making available to you, knowledge that previously could only be accessed through a professional Feng Shui Consultation. By devoting less than one hour per week, for 5 weeks, watching the videos on a computer or a mobile device -- even your phone -- you can learn how to create spaces that promote love, communication and understanding. The beauty of Feng Shui is that you can make emotional and thought pattern changes in you, just by moving things around in your master bedroom. These changes will help you make better decisions in life. Finding love is possible, happiness in love is possible. In this pre-recorded online course, you will learn how to set up a master bedroom so that it encourages love and respect, and you will also learn about the best cures for the love corner of the home. Moni is very special instructor. She is teaching from her heart with passion. I really enjoyed that much valuable Feng Shui for Love with her. Don't miss it. Create a Master Bedroom that is really open to love, that promotes communication, equality, and touch. Enjoy everything that comes with a happy love relationship. Get the love that your desire and deserve. Under each lesson, there is a section for "Discussion." You can post your questions there, and Moni will answer them on the same page. You will also be invited to join a Facebook group, where you can post photos and videos of your master bedroom and the relationships corner in your home, to get direct feedback from Moni. When you finish this course, you will be an expert in the Feng Shui of Master Bedrooms and Romantic Relationships. Romantic Master Bedrooms - the module for Bedrooms in my Make Your Home a Dream Program. This video teaches you how to put together a master bedroom from scratch. Declutter for Love - the module for Relationships in my Declutter for Good Program. This video teaches you how to handle the kinds of clutter that most block good relationships. Manifest More Love - the module for Love in the Feng Shui Manifesting Course. In this video you will learn about metaphysical cures to invite more love into your life. The advice works for married couples, couples living together, and single folks looking to attract a steady love partner. Invitation to the Facebook Private Support Group. In this group, you get to post questions, and if you want also images and videos of your own master bedroom and the relationship corner in your home, to get direct help from me. Recording with Affirmations for Love. These affirmations were put together by me and a vibrational healer to assist clients and students in understanding the true nature of love, so that they can have realistic expectations and the right attitude towards love and marriage. The book Feng Shui Your Own Life Areas. This book includes a whole chapter devoted to master bedrooms and the love corner of the home. I will also invite you to join a Facebook group where you can post photos and videos of your master bedroom and the relationships corner in your home (back corner, to the right, when looking at the home from the street), to get direct feedback from me. The secret of a successful love relationship is in equality of importance. Feng Shui can Help You be Happy in Love! Better know yourself so you know who you can love. Break the patterns of bad choices and bad relationships. Set the Intent for a Healthy Love Relationship. Break the patterns of lack of equality. Let me teach you how to arrange your home so that you can experience happiness in love, such as my husband Marco and I have enjoyed for over 25 years! When your home has good Feng Shui, you argue less. When you argue less fear, you communicate better. When you communicate better, love grows! Create the Master Bedroom of YOUR DREAMS, where you can have a fulfilling love relationship.